Save time effectively collecting attendance without the use of time-consuming role calls or paper-based sign-in sheets. Encourage students to attend class and empowers them to keep track of their attendance. Use reporting features that communicate statistical data on student patterns and behaviors. At the University of Miami, there are a number of faculty, programs, and departments that utilize attendance tracking to inform teaching practices, engage students, and track invaluable data points. In an effort to encourage student presence and active participation in class, Dr. Ashley Falcon ensures attendance is taken through a variety of methods in her nursing and public health classes, from passing around a sign-in sheet to the collection of class activities and handouts. For tracking and reporting purposes, she relies on the new Blackboard Attendance feature to mark her students present or absent. Attendance is then incorporated into the final participation grade. Blackboard can automatically calculate the number of absent marks within the student roster, providing a numerical score in the grade center. Importantly, she uses the attendance data to evaluate patterns of behavior in students, prompting her to follow up with students who show a high number of missed classes. Blackboard Attendance is helpful for tracking this information and issuing early warnings and intervention opportunities, but it can still be an arduous manual process to upload attendance information after every class session. College of Engineering Professor and Graduate Director, Dr. Helena Solo-Gabrielle, manages and supports the Strategic Research Initiatives Seminars. Approximately 134 PhD students with financial support are required to attend these seminars, while the seminars are open to non-graduate and graduate students and alumni. To make matters more complicated, some of the required PhD students include international students whose enrollment dates can vary anytime during any given semester. This makes tracking required attendance tricky. One solution currently being tested is the CBORD CS Gold attendance tracking system supported by UMIT. This system allows users to sign in to the workshop by scanning a QR code with their mobile phones that prompts them to sign in with their Cane ID and password. Alumni without a Cane ID may input their information manually. After each seminar, CS Gold automatically sends a spreadsheet report with participant information. The American Bar Association accreditation process requires that attendance is recorded, tracked, and reported to ensure students are meeting the minimum number of hours required in their respective law programs. This task can prove challenging due to large class sizes that can reach upwards of 80 students, making roll-call too time consuming and making paper-based sign-in sheets unreliable. Many faculty have approached the Dean and administration for an attendance tracking solution that is automated. One faculty member, Professor Tarek Sayed, has been piloting a start-up technology called TealPass which uses an automated check-in process that automatically checks in students when they walk into class. This current technology is still in its infancy stages and is not ready for scaled adoption due to bugs and issues experienced during the pilot. The Active Shooter training is a recommended training for faculty and staff; some essential faculty and staff are required to attend the training. To track participants, John Gulla (Emergency Management Coordinator) has been working with UMIT to deploy an attendance system called CBORD CS Gold. This system utilizes an iPad reader that swipes an attendee’s Cane card to check them into the training. At the end of each training, a report is automatically generated with the names and information of all participants, with the ability to check them in, mark them late, or mark them absent. This new system has made the process of assigning HR Wellness points to qualified participants more efficiently, saving the coordinators time and decreasing mistakes. What is their affiliation to the event? How often does the individual attend these events? How often do they attend other events in the institution related to this one? Before beginning to track attendance electronically, most systems require setup with target information. For classroom attendance tracking, the information required is generic enough that faculty can program with little help from administration. For example, setting up the dates and times of classroom sessions, class roster, and marking times that are considered “on-time” versus “late”. Blackboard Attendance and iClicker Attendance allows faculty to set up their course information within a few minutes. Some attendance tracking systems, however, will require a much longer setup process. For example, CBORD CS Gold is an in-house attendance system that will require departments and UMIT staff to meet, demo, plan, and setup the attendance system specifying what data they want to collect and how they will to collect it. There is also more flexibility for the types of events that can be captured and who it can capture - from routine workshops to sporting events. The technology that participants will use to “check in” is typically known as a reader. There are software-based mobile readers that only need an app, browser, or bluetooth to enable check-in. There are also hardware readers, which include ID scanners that can restrict entry into doors, for example. CBORD supports a number of compatible hardware and software readers. iClicker Attendance allows students to use the iClicker Cloud app to check in to their class. iClicker also allows faculty to restrict the location using geofencing to ensure students are within a certain distance of their classroom. As of now, the Blackboard Attendance feature does not have a check-in technology or reader feature. The instructor is still required to collect attendance through traditional methods, such as sign-in sheets or roll-calls. They would then enter the attendance information manually after a class session. Many accreditation bodies and programs have specific attendance policies that must be met by institutions. For example, some programs may require a number of hours in clinicals or facetime with an instructor. Using attendance tracking can help ease the burden of manually taking attendance and ensuring that reporting information is met timely and accurately. Attendance tracking has been seen as a key data point for interpreting student academic performance and level of academic engagement. Higher education institutions have invested in attendance tracking for predicting and confronting student retention. Coupling attendance data with other data points, like missed assignment deadlines, can indicate a student is struggling, and can allow instructors and advisors to intervene before a student drops out. One of the most important dilemmas of attendance tracking is how to ethically collect, use, store, and disseminate the data collected. The insight that can be gathered is often touted as a method for early intervention. However, sometimes there is little information on how this data is stored and used by institutions. One major downside of attendance systems is that most systems require significant manual input from the instructor after an event or in order to utilize the data in their teaching. Instructors who opt to use attendance tracking systems should carefully weigh their options and decide if the benefits of these systems outweigh the time used to implement them. It is possible to consider attendance tracking not only for within the classroom, but outside of classroom spaces. Wide applications of attendance systems that gather records of student participation in campus services and social events can provide a larger picture of overall engagement. It can assist institutional stakeholders, aside from solely academically-focused departments, in making decisions about services that support students. As the technology continues to grow and expand, we can see a trend in companies that are looking to reduce the administrative side of attendance taking by offering products that do not require students or faculty to "check in" at all. For example, TealPass (see School of Law example) uses a beacon to automatically check students into class by communicating through the bluetooth on their devices. 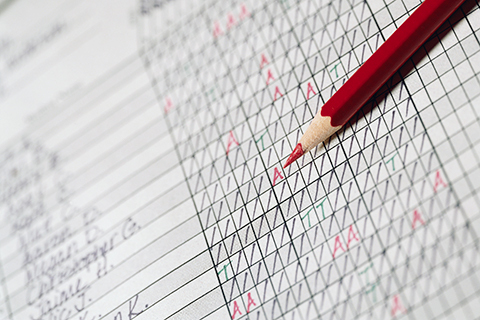 Attendance tracking is part of a larger conversation about learning analytics. By tracking attendance, faculty may be able to understand what information the student has been exposed to and what was missed. Collecting attendance information can provide institution insight on both student behavior and the services the institution provides. It can help form a picture of the individual student - how often they go to class, how often they reach out for help, or the holistic student body - how often do students attend class, what percentage of students from a class attend tutoring services. Faculty who include attendance requirements in their syllabi in an effort to emphasize the importance of participation hope that tracking attendance will encourage students to attend class. Attendance tracking systems therefore can alleviate the burden of manually tracking student participation, while still providing a platform to account for student attendance. Some faculty, however, may feel as if mandating attendance does little to engage students. Furthermore, some feel like students, especially in higher education, should have to autonomy to be able to decide whether they want to attend classes. They argue that students who do not wish to attend class may engage in behaviors, like falling asleep or using their phones, that distract students who are actually interested in attending classes.